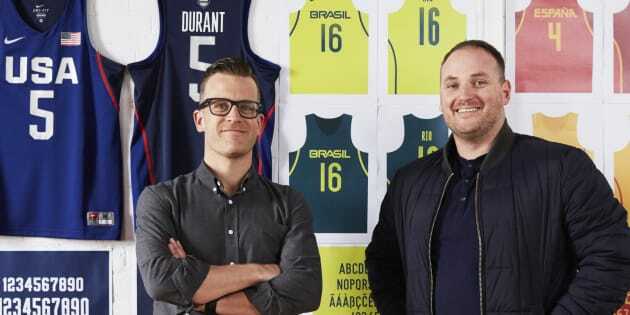 SouthWestWest creative director Andy Sargent and director of strategy Jonathan Price designed typography for the USA, Brazilian and Spanish basketball team uniforms. We're not just being represented by our outstanding athletes at this year's Olympic Games -- Australia's small businesses are also doing us proud in Rio. Here we look at five businesses that are flying the Aussie flag on the world stage. This Melbourne-based branding and digital agency scored a huge win by partnering with Nike to design the typography that features on the custom uniforms of the USA, Spanish and Brazilian basketball teams. "It's a huge thrill for us to see our work on the backs of some of our idols and some of the best athletes in the world," said creative director Andy Sargent. "The Dream Team has always had a magical aura unlike any other team in the world. To see names like Durant, Anthony and Irving in our typography is something we're immensely proud of. "We've dreamt of seeing it up on the podium in Rio." The USA and Brazil basketball uniforms featuring typography designed by Melbourne's SouthSouthWest. The Victorian sports surfaces company is taking part in its fourth Olympics, supplying two full-sized competition pitches and a warm-up area at the Olympic Hockey Centre. Polytan, which employs 20 people and is based in Dandenong South, worked with Brazilian construction and surfacing partners to install the surfaces. 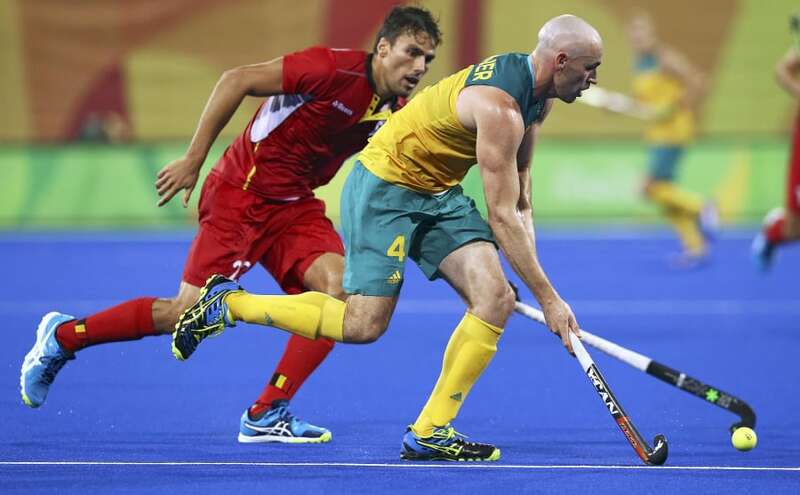 Australian hockey player Glenn Turner in action in Rio. This Melbourne-based consulting and global events planning business, which specialises in event strategy and preparing athletes villages, is no stranger to the Olympic and Paralympic Games. Chairman Andrew Sharp told The Sydney Morning Herald: "EPG has been involved in multiple Olympic and Paralympic Games, including Rio 2016, Sochi 2014, London 2012, Vancouver 2010, Athens 2004, Salt Lake City 2002 and Sydney 2000." Founded in Sydney in 2003, Zhik supplies uniforms and wet-weather gear to the sailing section of the Australian Olympic Team. They unveiled the team's sailing uniforms in March, showcasing their super light and water repellent Avlare fabric. Sailor Lisa Darmanin said she'd been testing the gear throughout its development for Rio. "We go so fast that I get cold just wearing spandex as soon as the wind picks up," she said. "At the same time, Avlare just doesn't absorb any water like a wetsuit would. I have been wearing it pretty much every day out on the water." 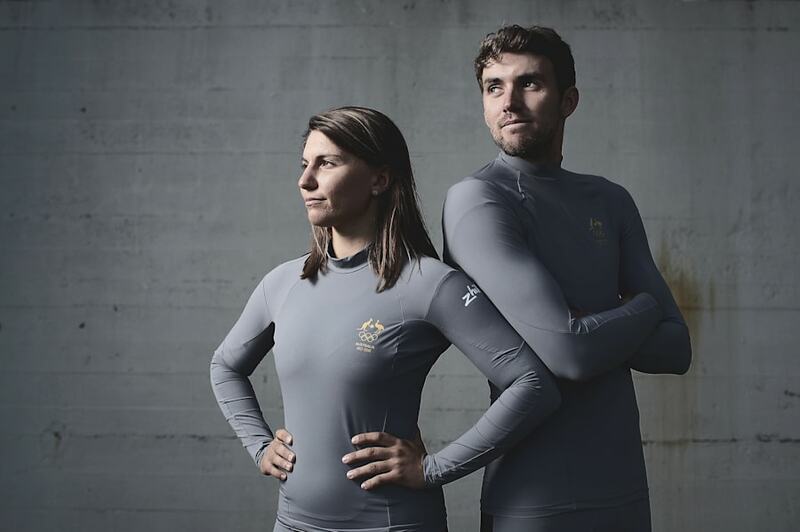 Australian Olympic sailors Lisa Darmanin and Jason Waterhouse in their Zhik gear. Aussie fitness brand STING are the official International Boxing Association boxing glove supplier to the 2016 Rio Olympic Games. "The Olympic Games represent the pinnacle of competition for most boxers, with the chance to represent their country and compete at the highest level," said STING's media manager Alicia Kacar. "The Olympics is always a special time, but it will take on a whole new level of excitement for us in 2016." 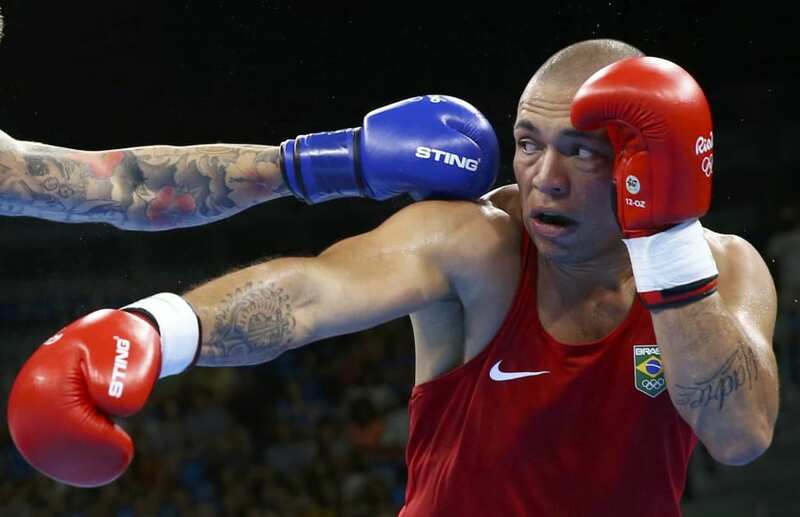 Aussie Olympic boxer Jason Whateley competes at Rio wearing STING boxing gloves.